Duluth, GA. (June 12, 2017) – Infinite Energy Center has announced leadership and organizational changes to support the long-term growth of the company. 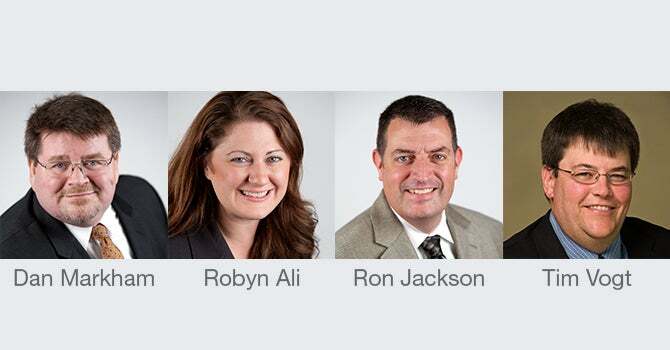 Effective immediately, the executive team will be comprised of Dan Markham, Executive Director of Sales, Booking, and Event Management; Robyn Ali, Executive Director of Marketing and Business Development; Rhett Smathers, Executive Director of Finance; Tim Vogt, Executive Director of Operations; and Ron Jackson, Executive Director of Guest Services. As executive director of sales, booking, and event management, Dan Markham will manage all sales and booking efforts for the entire campus while supporting the event management team for the Forum and Theater. Markham joined the sales team at the Center in 2007 and quickly advanced to the role of director of booking where he has booked more than 900 events over his career. Markham’s 30 years of professional facility management experience makes him a natural fit for this promotion. With Robyn Ali’s new role as executive director of marketing and business development, she will oversee all aspects of the company’s B2B and B2C to marketing efforts, including suite sales, sponsorships, and event advertising. Ali began her career at the Center in 2007 and worked her way up from administrative support roles to director of marketing, a position she has held since 2011. Ali’s enthusiasm, innovative thinking and insight from working with various departments over the years makes her an asset for the future of the company. Rhett Smathers will continue his role in finance as executive director of finance. Smathers has been with the Center since 2000 and has been an integral part of the leadership team over the years. His wide-ranging knowledge relating to financial management, budgeting, purchasing and risk management has been a huge contribution to the successes at the Center. As executive director of operations, Tim Vogt has been hired to lead all aspects of engineering, operations, technical services, and informational technology campus-wide. This newly created position will group all back-of-house services under one division. Vogt will be returning to the Infinite Energy Center team after a 10-year hiatus. Vogt not only brings twenty years of extensive experience in facility management, operations, and event production but also project management for renovation and construction plans. With continued efforts to ensure a safe and comfortable environment, a new department has been created to focus on providing the best customer service throughout the entire guest experience. As the executive director of guest services, Ron Jackson will oversee this department which covers all aspects of guest relations including security, ticket takers, ushers and ticket office. His executive role at the Center over the last six years and his vast knowledge of facility management make him the ideal leader for this new department.